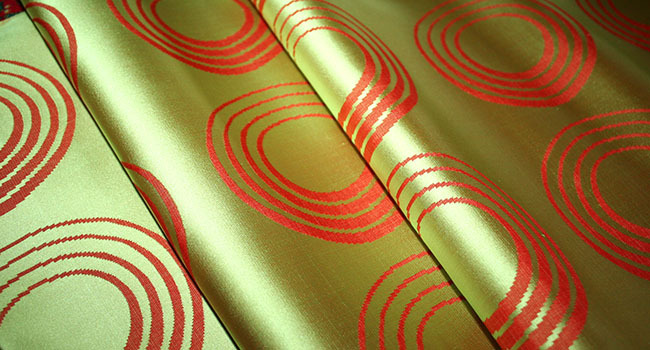 Kimoyes item: 22653 - Shiny yellow silk fabric with woven orange swirls. Shiny yellow silk fabric with woven orange swirls. Colour is a little brighter than indicated in photos.